I went into this movie with a heavy bias. I really enjoy stories involving the end of the world, I like alternate reality type things, but, more so, I love stories that are themselves surrounded by good stories. Books that went unpublished for years because they were "too controversial," music that wasn't released because it wasn't "commercial" enough at the time, and movies that were almost not made because of various tragedies on the set. 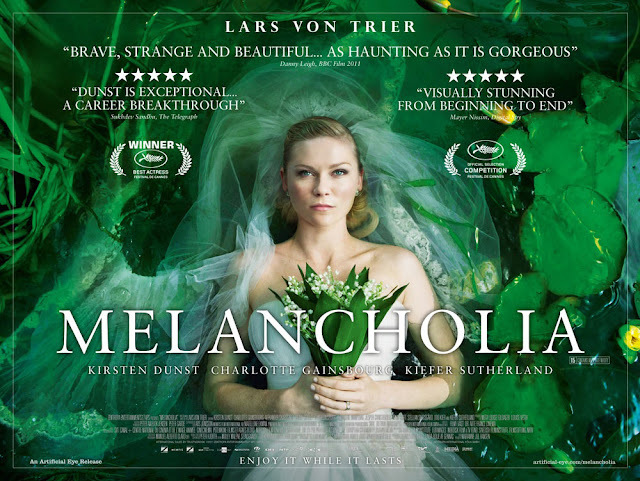 Melancholia didn't suffer from on set tragedies as much as it had probably some of the worst PR one could imagine: at the Cannes premier, Lars von Trier sorta said he was a Nazi. Now, I fully believe that Lars von Trier was joking, and that, while it was dumb to try to make a Nazi joke in first place, I think he also suffered from poor comedic timing and from translation errors. 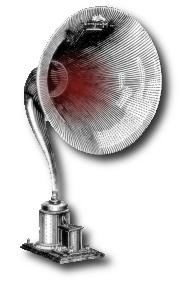 But these things should be nothing new to people who have seen von Trier movies. He's a weird visionary known for putting forth ideas that he thinks will shock people, then realizes after he's made his statement, everybody feeling really uncomfortable and slightly offended, that he didn't really intend to portray that idea in quite the way it came out. In fact, right before Melancholia came out, he put out a statement sort of apologizing for it, as it wasn't quite what he wanted. I like artists who are sort of unaware of what they're doing until it's too late, because when this happens, we sometimes get something true, unfiltered, and uncensored. These poor, sometimes horrifying half-thought decisions come though in LvT's movies at an unbelievable rate. Most the time during his movies, Melancholia being no different, one spends half the time in awe that the things occurring on the screen are, in fact, occurring on the screen. All of that said, I feel I must warn you that Melancholia is a slow movie. I think the end result is more then worth it, so I say dive in head first, but don't expect Armageddon, expect 2001: A Space Odyssey. Let it wash over you. Let the characters and the atmosphere slowly seep into your head, and by the time the movie ends, you'll feel like you've come out of a meditative coma. P.S. I didn't really have another place to say it, but Kirsten Dunst was AMAZING in this movie. It's not like she really needed to prove herself, but daaaaang she was good.